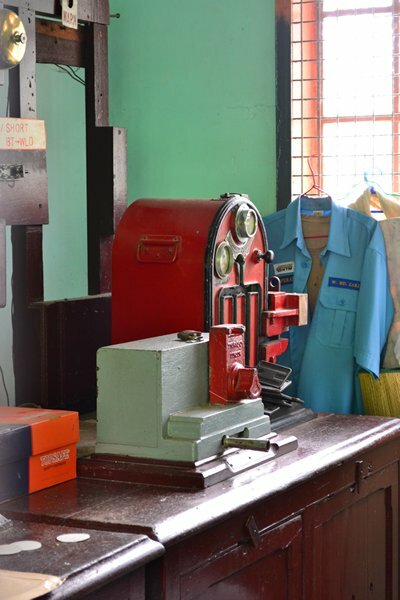 Now, Singapore is not exactly the place to re-live such experiences: there is little place for "old" here. Buildings having ten years or more are considered obsolete and whatever has a twenty years or more is scrapped in a snap to be able to rebuild something new again. 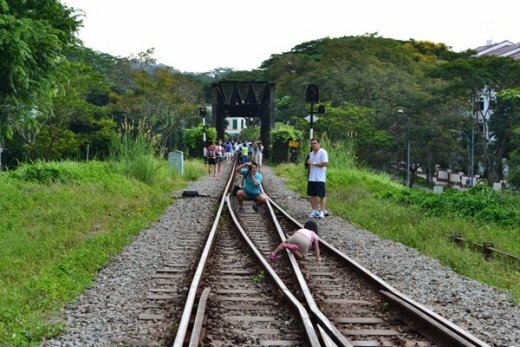 So I used the very little window of about two weeks, that allowed public access to the railway track from Tanjong Pagar to Woodlands, since the railway ceased its operations as of 1st of July. Probably, in one more month, not a trace will be left of the old train route. From now on, Singapore is a country (and possibly the only one?) 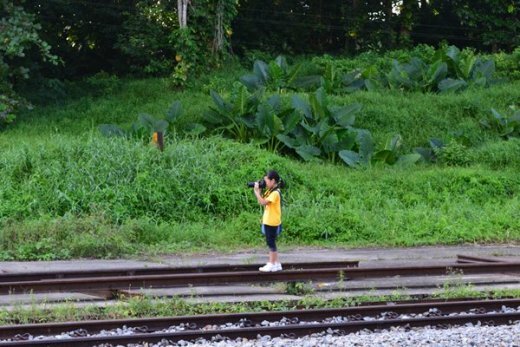 with a stunning 1km length railway track, with a railway station just next to the border, crossing over to Malaysia. 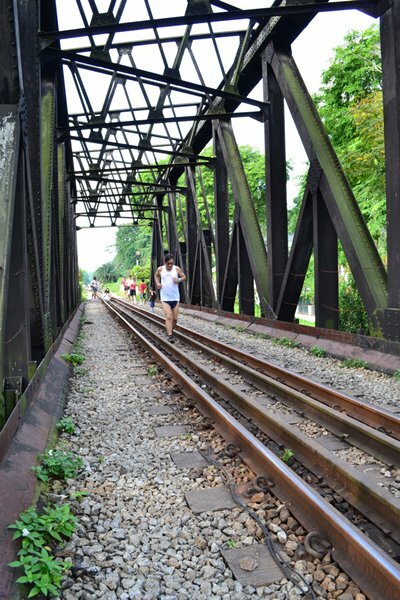 The track was built in the early 20th century, to allow transportation of goods and passenger from and to Malaysia. Earlier, they all shipped on a ferry across the Straits of Johore to Johore Bahru. 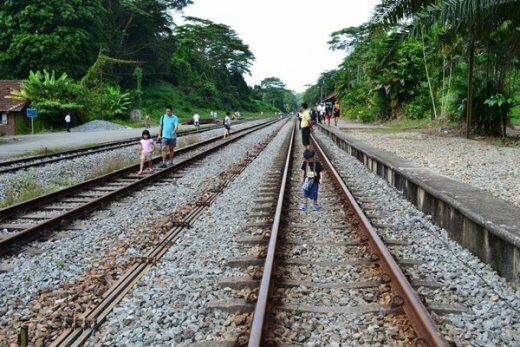 Since the track and the stations belonged to Malaysia, the past years saw a lot of disputes between the two countries, resulting in confusion and funny workarounds for passengers using the train: passengers leaving Singapore for Malaysia had to clear entry to Malaysia before leaving Singapore! Today, with the MRT track and public road system in place, the whole construction became obsolete : anyway most of the travellers go to Malaysia by plane or by bus. The big question mark is now what is going to happen to that strip of land reaching across most of Singapore. I just hope it will not be used for more "land development" projects, i.e. to put another couple of condominiums in the increasingly crammed city space. Instead, a cycling or skating track would be a great idea (maybe a side track to my home could be built??). Or just to make it a green trail for weekend walkers. In the same time, the walk-on-the-rails is my first "training session" since this years’ Sundown Marathon which I finished within a deceiving 5 hours : post on this soon to come. It is a paradox thing: I kept practising for the Marathon months and months. And during every training unit, I was secretly looking forward to those recovery weeks following the Marathon. In other words, if I am honest, I trained to be able not to train. Now, comfortable sitting on the sofa during those relax weeks, growing fat and lazy (ok, just lazy for now); I am looking forward to the first real training session again. Need to be "back on track".